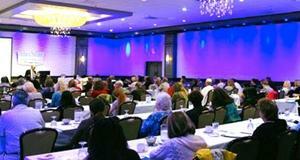 We're excited that you are considering Louvre Banquet Hall as a possible location for your next event. After filling out the form below, one of our event managers will contact you to confirm availability and discuss your plans further. Our staff at Louvre Banquet Hall has 20 years of experience to make sure that your reception goes as smoothly as possible. We offer quality food served with pride and type of service that you expect from a first class banquet facility. Our newly renovated facility offers a high standard of quality, atmosphere of warmth, luxury and elegance. We cater to weddings, social events, corporate events, birthdays, christenings and more. The international cuisine provides you with lots to choose from, allowing you to please any of your guests. Our conveniently located facility can accommodate up to 360 guests including valet parking service and a private parking lot located across the street from our banquet hall. Louvre Banquet Hall is the place to have your special day. Our professional coordinators on hand will make sure your event is one of a kind and will be remembered forever. We know that your wedding day is one of the most important days of your life, and we will make sure extra attention is dedicated to your special event. 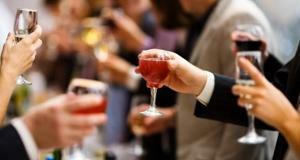 We can accommodate up to 360 guests for your social event. We employ a very dedicated team of event coordinators, chefs, an dservers to help plan and execute every aspect of your event. Make your next event a memorable experience. Choosing the right venue for your corporate event can be hard and frustrating. That is why you should look no further than Louvre Banquet Hall. Our professional and experienced staff will make sure your event goes as smoothly as possible, making sure all guests are satisfied, and experience Louvre Banquet Hall. © Copyright 2016 Louvre Banquet Hall. All Rights Reserved.